Never been up in a helicopter before? Well, this is the perfect introduction! Your 90-minute tour includes hotel pick-up and a thrilling helicopter flight over the Kata Tjuta National Park and Uluru. 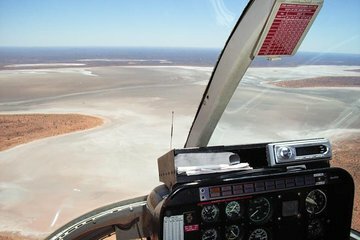 Soar over red desert sands, looming sand dunes and wild camels on your way to Lake Amadeus, and marvel over the vast salt lake from the air. It’s the most memorable way to discover Australia’s Red Centre! Awsome views from Uluru, Kata Tjuta and Lake amadeus.